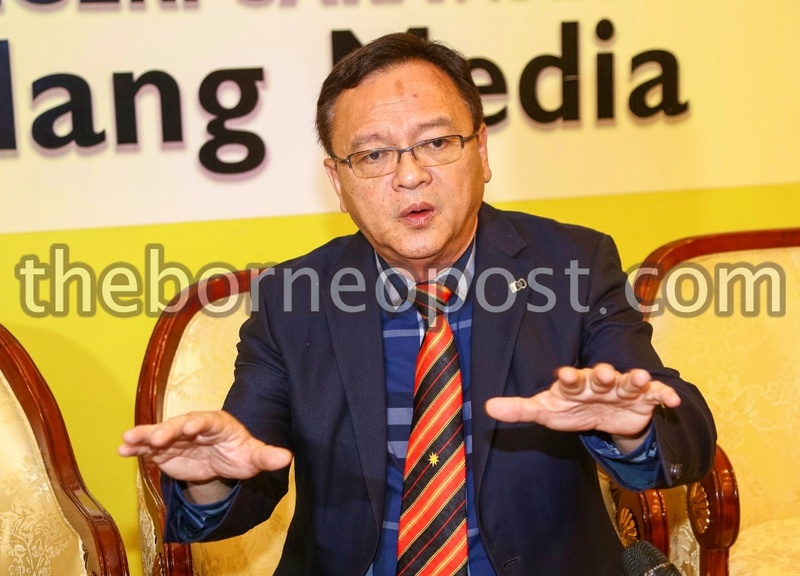 KUCHING: The recognition of the Unified Examination Certificate (UEC) should be looked into by the Ministry of Education (MoE) to provide Malaysians a better competitive edge in education, said Batu Kitang assemblyman Lo Khere Chiang. According to Lo, the late Chief Minister Tan Sri Adenan Satem took one single day to announce and recognise UEC in Sarawak. How much longer is the Pakatan Harapan (PH) government going to take to recognise UEC? Recognising UEC will give Malaysians a better competitive edge over their counterparts in other countries. Accepting UEC is a positive step towards making Malaysia a more inclusive and competitive country, said Lo in his budget debate during the State Legislative Assembly (DUN) sitting yesterday. Lo reminded members of the August House that education is meant for all to pursue knowledge for the betterment of Malaysians and it should not become a platform for anyone to play politics with. The education minister should know that UEC is recognised in top universities abroad but not in our local public universities. How silly and impractical is our education policies? he questioned. He pointed out that UEC students opt to go overseas because they were rejected by their own country. Then, after completing their higher education, they look for jobs in their adopted countries and stay on instead of returning. The vicious cycle continues. Year after year, we lose our brightest students to other countries. This is the main cause of brain drain. Is this so difficult for the PH government to comprehend? he asked in exasperation. Lo expressed his gratitude to the late Tan Sri Adenan Satem for paving the fight for MA63 and for recognising UEC in Sarawak. We are thankful that our Chief Minister, Datuk Patinggi Abang Jo has reiterated that policies which benefited the state will continue. Sarawak is fortunate to have Abang Jo who is a wise leader, a leader with good economic acumen and who looks at positive changes in policies, said Lo. What a joke it was when the Federal Minister of Education choose to dwell on the issue of shoe colour instead of concentrating on working towards recognising UEC. us not forget that some of the Chinese schools in the rural areas especially Sarawak have over 90 per cent Bumiputera pupils. The teachers were there to give their best and were never worried about the different races attending their schools. They only strive to bring out the best in each pupil, he added.